Last night, the Christian Association of Nigeria (CAN), protested the attempt by the current All Progressives Congress, APC, government to enlist Nigeria among Arab nations to fight ISIS. According to international reports, Saudi Arabia is building a coalition of 34 Muslim/Arab countries to fight ISIS and Nigeria was named among the 34. A statement late last night by the General Secretary of CAN, Rev. 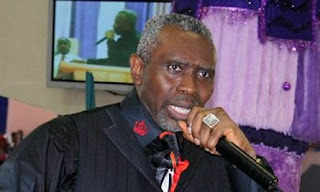 Musa Asake, said: “This singular gesture of the Buhari government betrays so much, and tends to confirm our fears that underneath everything this government is doing, there is an agenda with strong Islamic undertones, aimed at undermining Nigeria’s pluralistic character and neutrality regarding government’s affiliation to any one religion.